In this post, one of the most trusted roofing contractors in the area, Hill Roofing Corporation, discusses the difference between shingle splitting and cracking. Volatiles are chemicals with a low boiling point, which are added to the asphalt mix to make shingles flexible and waterproof. 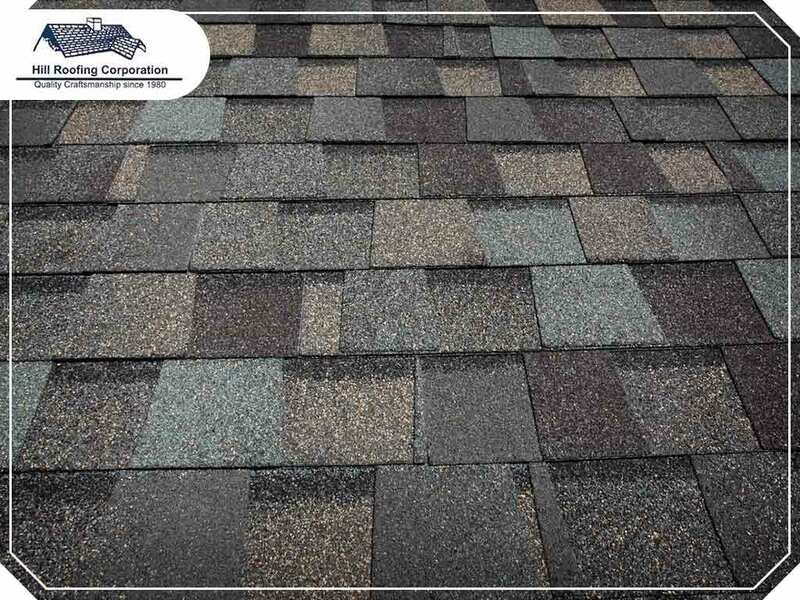 The shingles gradually lose volatiles due to evaporation, moisture and aging. The loss of volatiles dries, shrinks and cracks the asphalt. Heat can accelerate the process, which may lead to craze-cracking or random cracking in the shingles’ weather surface. This means keeping your shingles cool can extend their lifespan. Craze-cracking in organic or fiberglass shingles is an indication of aging. Too much filler in the asphalt mix may also cause the same. If the roof is fairly new, cracking may be a sign of a weak mat or low-quality shingles. Thermal splitting occurs due to changes in temperature that cause shingles to expand and contract. Shingles expand in warm temperatures, which cause the joints between them to decrease in size. Meanwhile, they shrink in cold temperature, and the joints between them become larger. The shingles connecting those underlying joints also shrink, so the bridging shingles become even more stressed as all the bonded-shingle assemblies shrivel. Too much stress decreases the effectiveness of adhesive strips. This can cause the shingles to split, which may lead to leaks and lower wind resistance. Splitting can occur in a diagonal pattern or randomly throughout the roof. Hire a trusted contractor like Hill Roofing Corporation that provides quality products and workmanship for a durable and long-lasting roof. We offer residential and commercial roof replacement services. Call us at (703) 291-0311, or complete our online form for a free quote. We work with homeowners in Manassas, VA.